The Elite Tactical Carbon Fiber Pocket Knife is a sleek everyday carry that is perfect to drop in your blue jeans pocket or your dress slacks pocket. 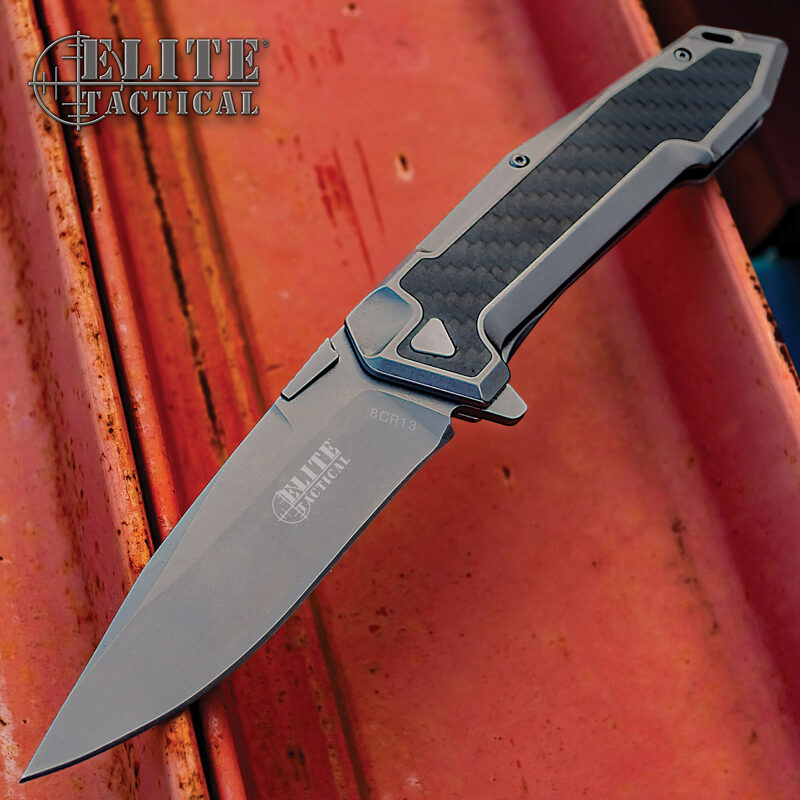 It has a 3 3/5” 8Cr13 tinite-coated, drop point blade with a mirror-polished finish and a flipper to access the assisted opening mechanism. The frame lock pocket knife’s handle is constructed of stainless steel and black carbon fiber handle scales. The 8 1/4” overall pocket knife is 4 3/5”, when closed, and has a reversible stainless steel pocket clip for ease of carry.